Cinema magic or good design? These iconic homes from some of the most well known films, both classic and contemporary, almost act as standalone characters in each film, providing the setting in a beautiful and appropriate way. 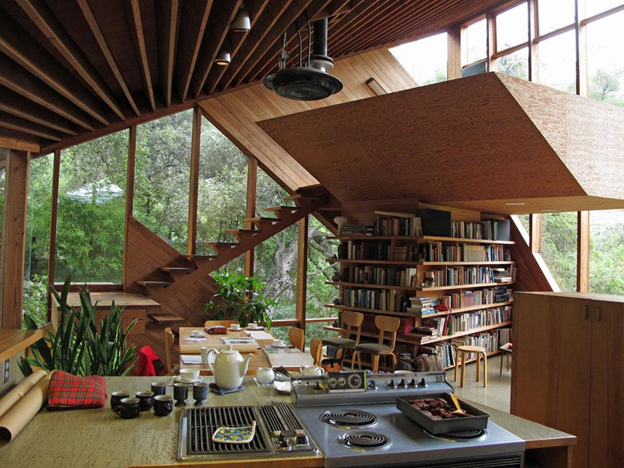 Take a look at some of our favorite homes, architecture, and interior designs from the world of cinema. This home, made famous in the 1990 John Hughes classic epitomized the dream estate for America’s upper class families of the midwest. This Georgian-style Colonial home was grand from the inside out, and featured a classic red-brick exterior with plenty of windows and an elegant archway, making it easily recognizable to anyone who has seen the film. Featuring a grand staircase, ample amounts of room, and a very of-its-time wallpaper, it’s easy to see why this was one of the warmest and coziest homes of our childhoods. 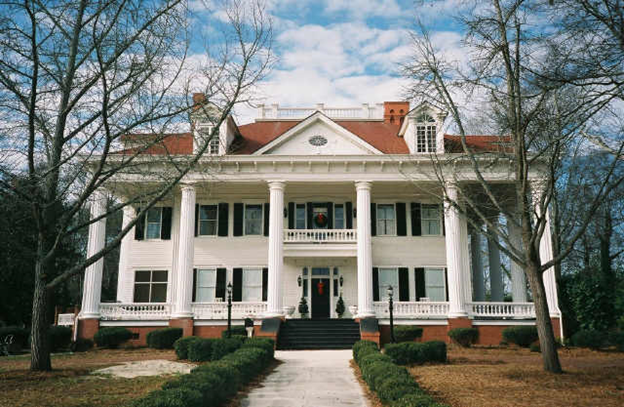 Set upon this sprawling plantation, the home from Gone with the Wind is a deep south mansion that seems to have the importance of a character of its own, serving as the setting for Scarlet O’Hara’s family. This piece of Georgia history lies on the fictional plantation of Tara, which the house has come to be known as. Tara goes through its own transformative journey, from being a place of glamor and prestige to its destruction and desecration during the Civil War. In its prime, the house most notably has a large front porch, columns, and a white brick exterior, with big windows and blue shutters. While its furnishings remain bare towards the end of the film, it’s still possible to see the architectural beauty of the home it once was. It’s easy to see the artistry of Tom Ford’s keen eye even in the backdrop of this film. In Ford’s directorial debut, this designer turned director chose a 1949 mid-century modernist’s dream as a backdrop for Southern California in the early 60s. Dark woods, paneled and beamed ceilings, with a sleek, low-slung sophistication provide the setting for this 2009 drama. Walnut woods create a warm, but quiet and understated home in this mid-century marvel that sits in the middle of an oak forest, with concrete and glass permeating the perimeter. There are two homes prominently featured in Ferris Bueller’s Day Off that are still remembered by audiences over 20 years later. Ferris’s home had all the charms of an 80s time capsule, complete with the postered walls of a rebellious teen bedroom, and was what we all imagined a comfortable suburban home to be like, boasting 7 bedrooms and 5 bathrooms. 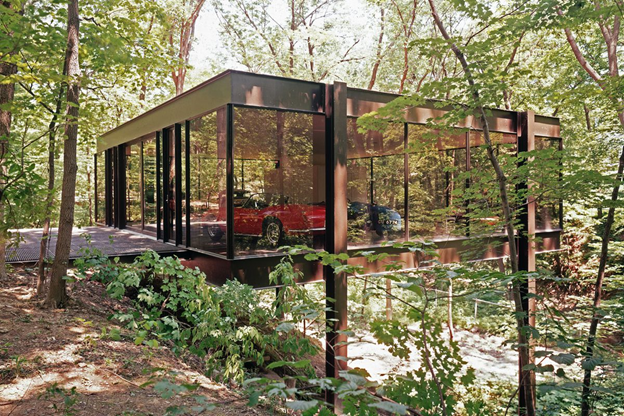 But more importantly, let’s talk about Cameron’s mid-century glass house that gets its moment to shine towards the end of the film. Not only is this small house set back among the trees, showing us just how secluded and luxe it is, but there’s a detached garage especially for the family Ferrari that makes its home inside. Made of steel and glass, this home is a gorgeous marvel that showcases all the best of mid-century design. Talk about a dream closet. Not only did Cher’s bedroom and walk-in closet give us serious envy, but she also had the ideal staircase to make an outfit debut in. 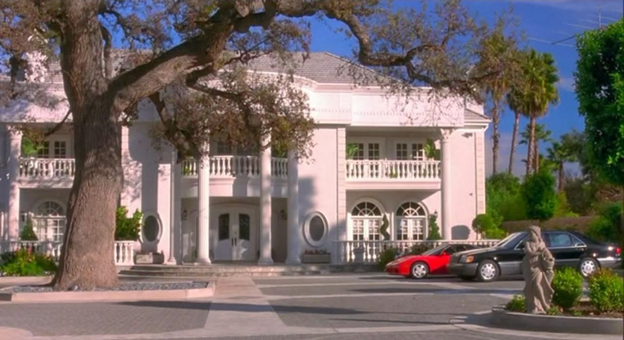 This sprawling Beverly Hills mansion, complete with multiple balconies and white pillars, allowed us to live out our valley girl dreams through our screen, and still remains vivid in our memory. It’s the quintessential Beverly Hills backdrop, but also acts as if it’s a character of its own. One thing is for sure, this film would not have the same effect without it.